The chapel of Sula is located just below the Sula lighthouse. 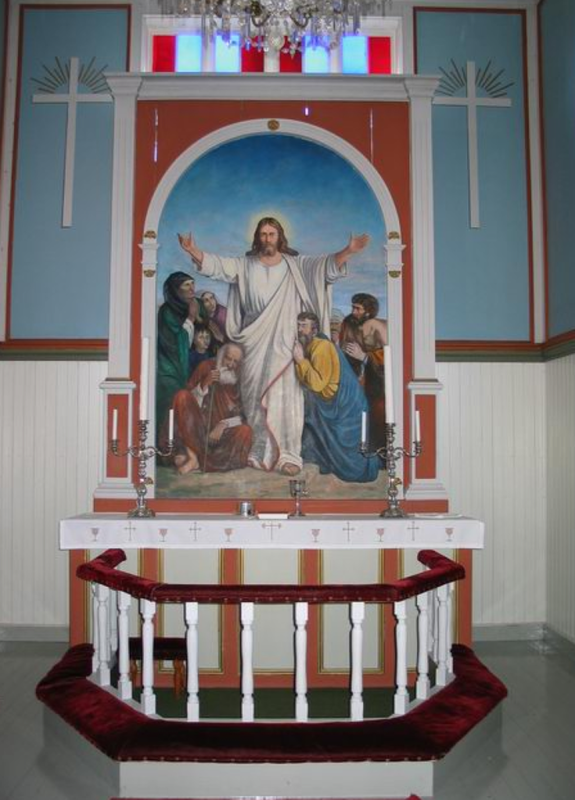 Today´s chapel was inaugurated in October 1925, but the church history of the island goes back 600 years. The first church was built in the 12th century. Legend has it the a Dutch ship was drifting in a storm on the coast outside the island. On board was the daughter of the ship owner, who, fearing for her life, prayed to God and promised to built a church to His honor if He rescued them. The ship drifted onto Sula, the woman and the crew was saved, and so the first church was raised here. A model of the wrecked ship was hanging in the church until the church was moved to Frøya in 1755. Sula was the first church site in this area. In Medieval times the population was higher on the small islets on the edge of the Norwegian coast, but during the last part of 18th century the population on the bigger islands closer to the mainland was growing. 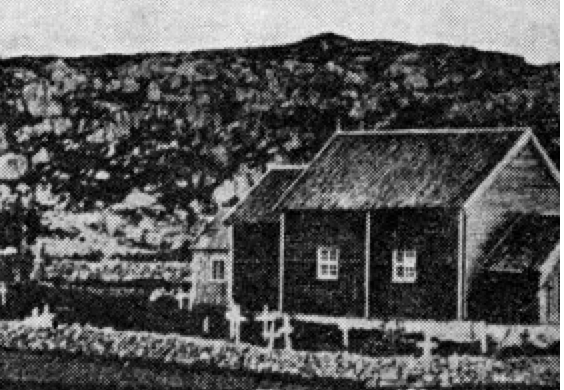 As a result, the church of Sula was torn down and rebuilt in Sletta on the main island of Frøya in 1755. The last Service in the old church was being conducted in 1880. Then the church was torn down, and the new and modern Sletta church became the replacement. For a short period the two churches, as this rare picture shows, existed side by side. The altar piece from the old church, which depicts the last communion, was moved to Sletta church, while other pieces of religious art that originates from the old Sula church and the catholic era, today is included in the collections of The Royal Norwegian Society of Sciences and Letters in Trondheim. The altar piece of the new chapel of Sula depicts a copy of the painting by Carl H. Bloch Christus Consolator.